Tuc Watkins, who played David Vickers on One Life to Live. 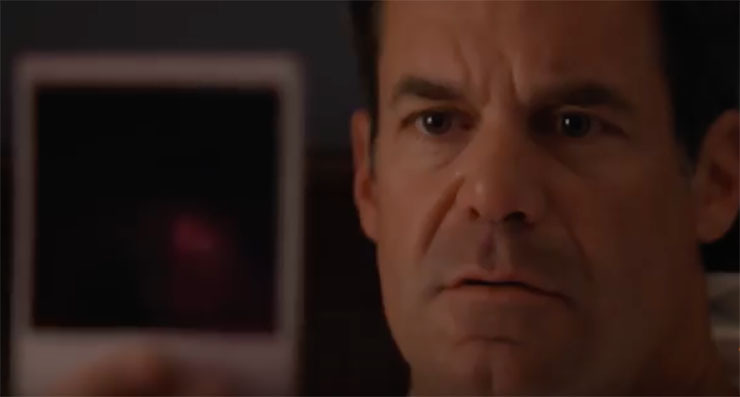 Tuc Watkins, who played the scheming, hilarious David Vickers on One Life to Live, stars in Retake, which carves out its own impressive space in the niche of LGBTQ cinema. In Retake, Watkins plays Jonathan, who hires gay prostitute Adam to go on a role-playing road trip with him from Los Angeles to the Grand Canyon. Jonathan wants to relive a journey he took with an ex-lover in the past. “The transactional nature of the duo’s relationship keeps genuine feeling in check, and there’s real drama and intrigue in that tension,” said The Hollywood Reporter in a review. Well, we know Watkins brings a layered, rich feel to dramatic work, given his funny-but-seriously-lovable portrayal of David on OLTL. “The rules Jonathan imposes on his rent boy—Adam must wear Brandon’s clothes and cologne, ask no probing questions and adhere to a strict travel, dining, and lodging itinerary—are eventually upended as Adam unravels Jonathan’s agenda, loosens him up, and demands more honesty,” reported the LA Times. In the process, Jonathan and Adam reveal their inner wounds and a real connection grows. Though we at Soap Cities haven’t seen this intriguing flick, it sounds like it meditates fascinatingly on our modern ability to record and revisit so many of our life experiences with technology and media. Watkins also shared on his Facebook page how fans can help his movie out. “We are so close to getting a Netflix order for our movie “RETAKE.” We are at 82% demand and need to get to 90%! If you have a Netflix disc account, please consider adding it to your DVD queue! It’s free and will help us tremendously,” he wrote. If you, dear readers, want to watch Watkins latest movie, which has been chosen as an official selection at several film festivals, you can download it on iTunes. Previous ArticleY&R Romance Report Card: How the Love is Measuring Up–Take Our Poll! Next Article Days of Our Lives Spoilers, Monday, May 8th: Eric Is Hot on Nicole’s Trail!